Here's a little Halloween inspiration for you. 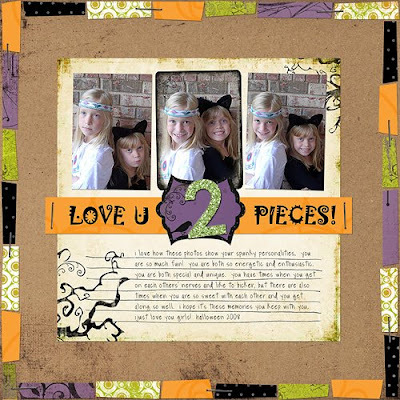 The first layout is all digital made using the Thrilling October freebie digi kit by Cherie Mask at 2 peas, and the Jack kit by Celeste Rockwood-Jones for www.pcLayers.com. The glitter layer style on the "2" is by Natalie Malan for www.pcLayers.com. 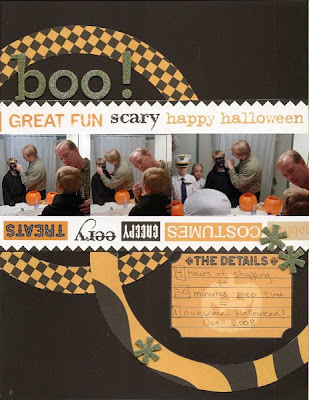 The second layout is all paper using the new Teresa Collins Halloween line. It's based on an ad from an online challenge over at 2 peas. Thanks for looking and have a fun and safe Halloween tonight! a very happy Halloween to you guys!!! Fun! That first one is especially cute!